challenges for our Cute v's Creepy challenge we have had some fantastic entries and we are looking forward to many more before this challenge is done. 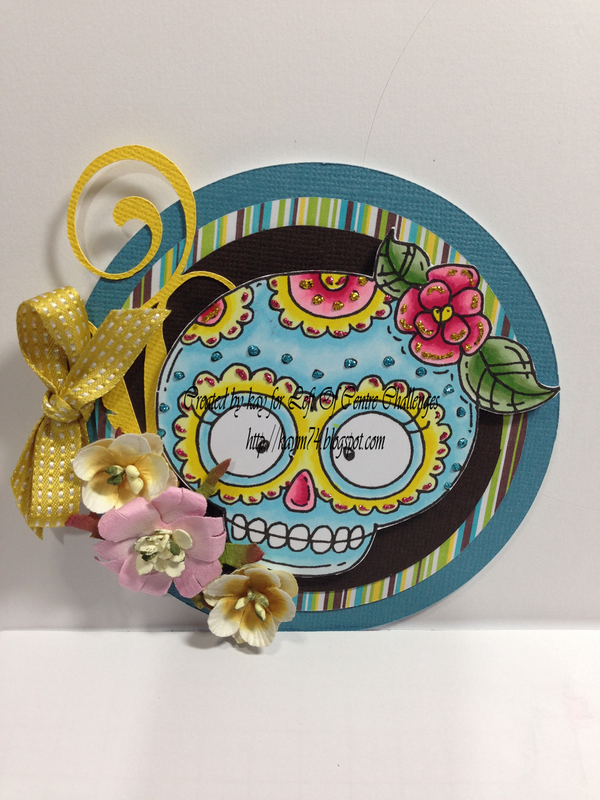 I have used the super cute Sugar Skull from our sponsor Meljen's Designs I just couldn't make this little image look creepy if I tried so I went for cute what do you think ? Links to all my ingredients can be found at the bottom of this post. I have cut out a circle card this time for something a little different the paper I have used is from my digital paper collection called What a Hoot ! The card is Bazzill Flowers from Petaloo ribbon is from Stampin Up and the die cut swirl is cut from my Silhouette cameo. Here are my Links ! Thanks so much for visiting hope to see your creation in our Cute V's Creepy challenge !